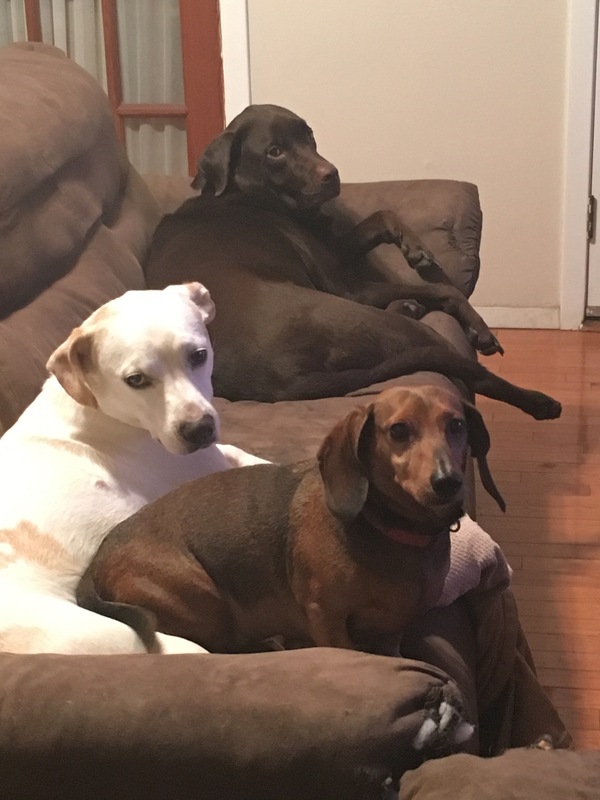 My Super Bowl watch crew! Have a plan, like drive yourself to the party so you can get up and leave when you want. Host if you can, and make it no drinking in your house. Be accountable to a sober friend each quarter and halftime. And when in doubt, just watch it by yourself or not at all. It’s simply not worth it. This is our life we are talking about, compared to a game with highly overpaid, but amazingly talented athletes that will still be rich in the morning despite our relapses. Was not easy but I made it through my first sober super bowl. And we won! That’s awesome Rob! I bet your felt great waking up sober this morning!! I had the pleasure of watching a different kind of super-bowl lastnight; a coupla co-workers each betting on different teams..As always excellent advice. If we fail to plan and all that. I noticed you brought out the dogs…always a stop-read-now for me. Now you don’t forget their Supper-Bowls, oh, Howl!… I slay even me. Thanks, my friend. With peace and blessings. Thanks for taking the time to read and comment, the dogs are becoming a huge part of my recovery, glad you had a good time!! !